December is here and, let’s be honest, there is nothing we love more than thinking about Christmas. As much as we try to avoid it, it is getting harder to block these thoughts at work. All the Christmas decorations and the snow outside do not help either, right? Tis the season of advent calendars, family feasts, and mini-existential crisis while choosing the best presents for our loved ones. And with so many things on our minds, it’s easy to lose focus and momentum in the office. And yet, there are projects to be finished and work to be done. Should we rather pretend that December is just like any other month? Definitely not. 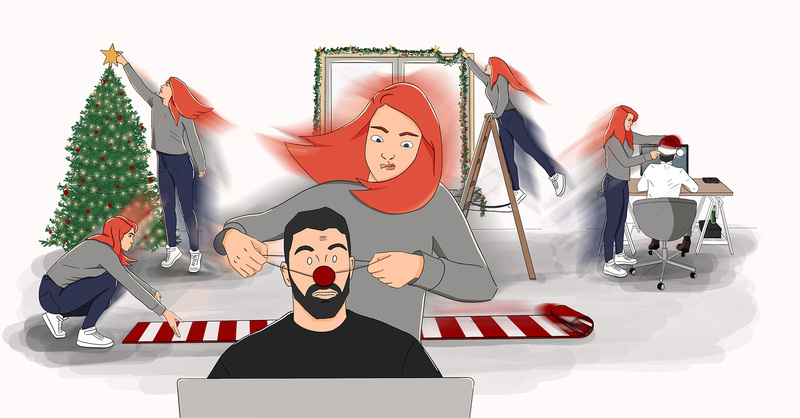 Bringing the Christmas spirit into the office can be a great way to bring the team together and boost everyone’s mood. After all, who does not enjoy the occasional ugly sweater contest or an office party? 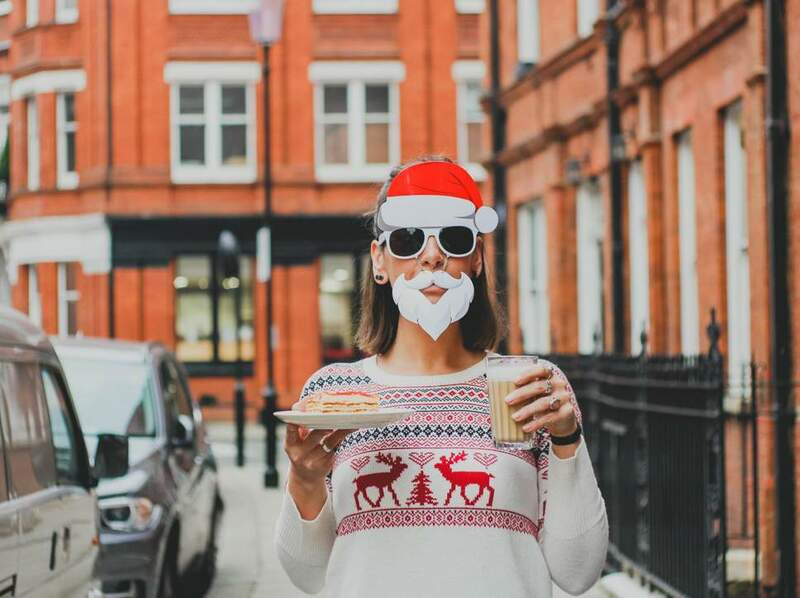 To prepare you for this month we collected some very inspiring ideas on how to make your team happy in December. 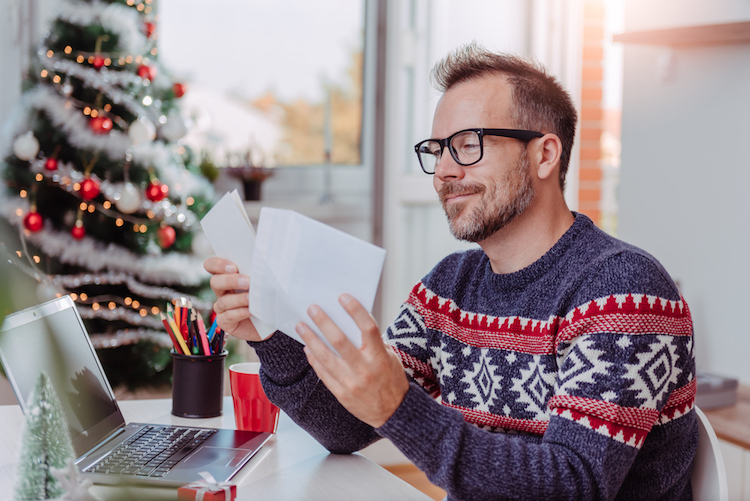 Source:Coburg Banks With Christmas around the corner, a bit of a festive spirit in the office can lift up the mood of your team. But how can you bring your team together and get them to bond in a fun and original way? 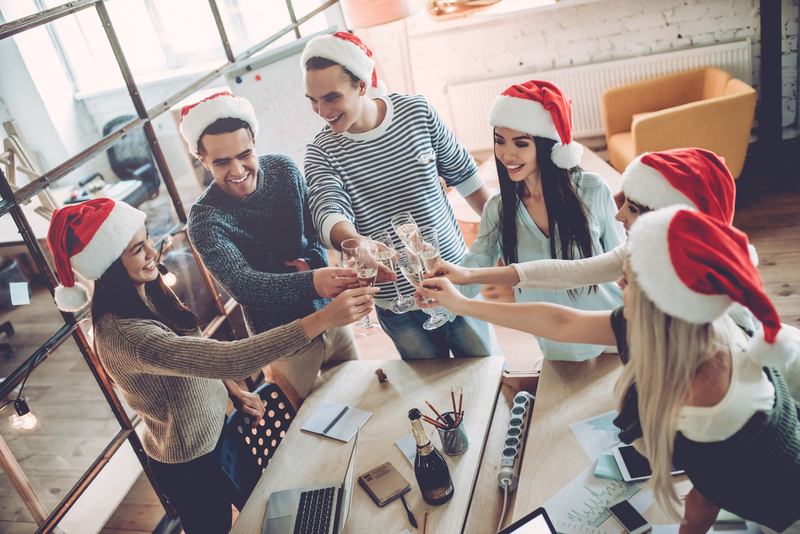 If an office party sounds too dull and not that original, try to cheer the spirits in the office by organizing a games` day or by decorating your office. The holidays are also a great time to give back, so why not engage in a social project together? To make it easier for all of us, Coburg Banks has prepared a great list with these and more team building ideas. Gamify work – create small competitions every day with seasonal gifts. The challenges should be work-related and best if you make them different every day, so people don’t get bored. Source: The Evening Standard So you’ve enthusiastically invited all your colleagues and a couple of pals to a holiday gathering, but you don’t have the brain power to pull it off? Fortunately, we live in the 21st century where little helpers are real, automated and available at the tap of a button. As you know, every party starts with planning for it. This is where apps like Swipes or Wunderlist can be a great help in keeping all things in order. And for those moments when your hands are all covered in flour and dough, and you feel you are forgetting something, Google Home can walk you through the recipe and note the beverage list for you. Finally, you can trust Grabble to choose the perfect outfit at a great price. So, are we missing something? 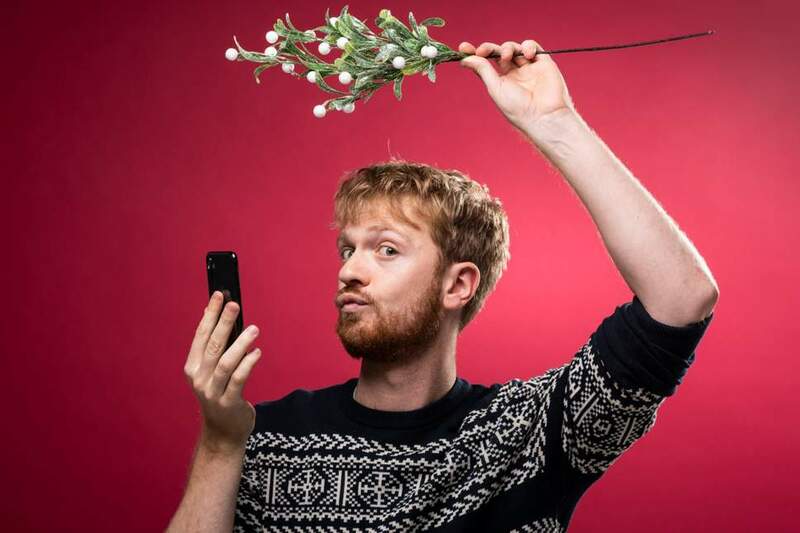 Check out Samuel Fishwick’s full app arsenal for a carefree Christmas party. Source: Impact Hub Zürich In case you, like the Swipes team, love games, this one by Impact Hub Zürich might be just the thing for you. Unlike Secret Santa, you will be gifting your time and care, instead of toys and gift cards. How it works: everyone writes down on a card 3-5 things (s)he would like to offer. You may propose everything from playing a board game together to learning someone how to ride a bike. Let your creativity swirl. Next, all the cards are collected in a Noël pot, and everyone goes and draws a card. Then you have a tough decision to make – which of the listed things you would like to receive. 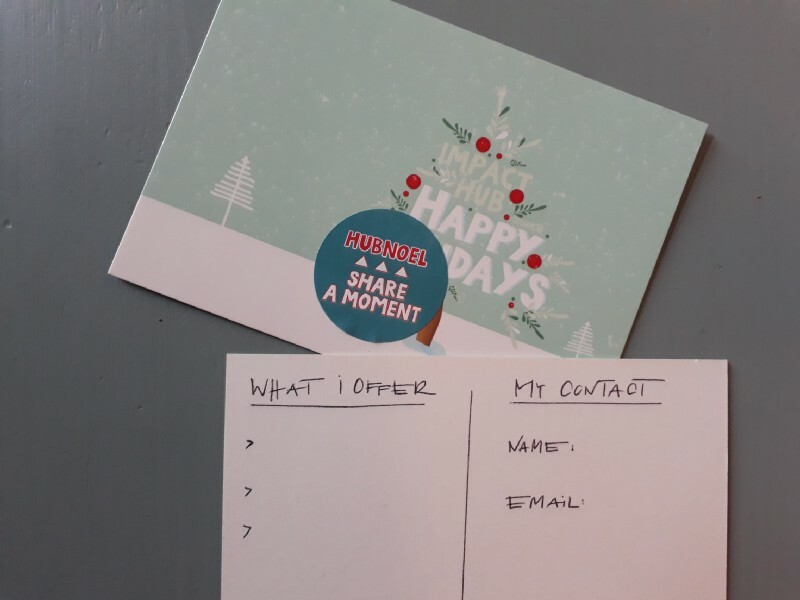 Once you have chosen, you have to notify your colleague that he is your holiday buddy. The game is an excellent opportunity to get to know your teammates better and, who knows, maybe drink good wine by the porch or have a free dancing lesson.